Samantha is a Registered and Licensed Dietitian Nutritionist. She works with weight management and multiple disease states, including but not limited to diabetes, renal disease, heart disease, and obesity. Samantha specializes in working with oncology patients, helping people optimize their nutrition while receiving cancer treatments and also while recovering from major surgeries. Samantha helps guide and educate her clients to achieve their individual nutrition and health goals using evidence-based practice while accommodating client’s busy daily lifestyles. 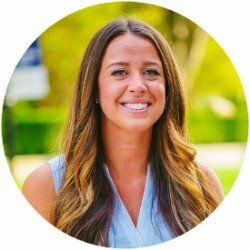 Samantha is passionate about providing realistic nutrition goals for each individual client, including balance and moderation to find what works best for them. When Samantha is not at Nourish, you can find her spending time with her family, traveling, working out, and finding new unique food spots to try! Her favorite foods are sushi and broccoli.